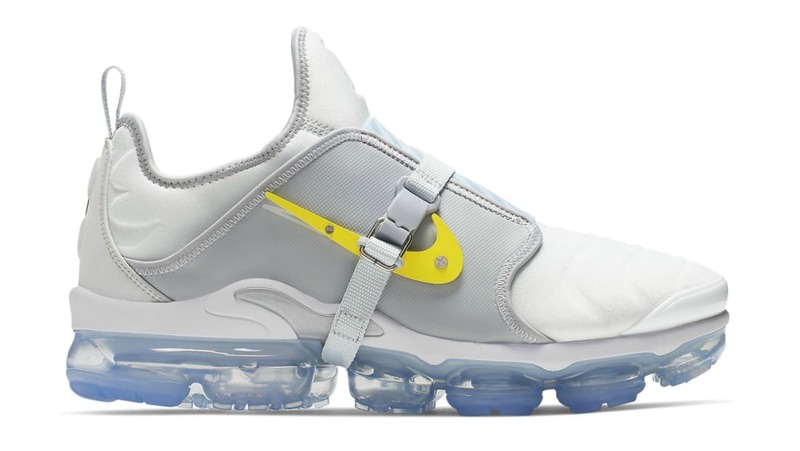 Nike Nike Air VaporMax Plus On Air "Grand Paris"
Designed by Nike: On Air winner Lou Matheron, the Air VaporMax Plus "Grand Paris" sports a wolf grey mesh upper with a grey midfoot strap, a vibrant yellow Swoosh on the sides, which sits atop an icy blue VaporMax tooling underneath. Release date is Apr. 13, 2019 at a retail price of $240.